The main camera has a resolution of 20 Megapixels, so that the pictures you take with it will have a lively appearance with high contrast. Optical image stabilization allows you to take photos on the go, and the minimum focal length will be useful for macro photography. The process of installing a SIM card is quite time consuming. This phone is equipped with a powerful processor and a large 5.2-inch screen, so it is perfect as a personal assistant. 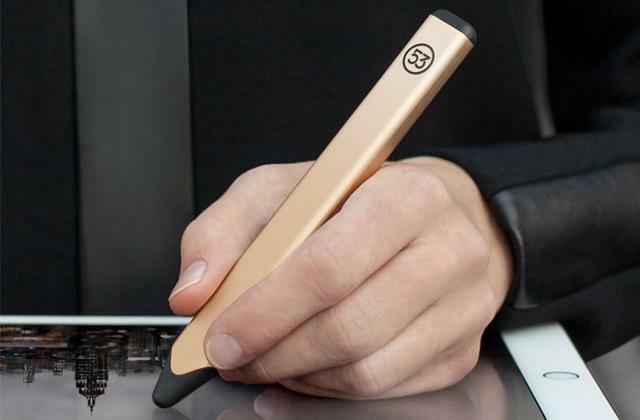 With it, you can perform the same functions as on a laptop with Windows 10, while getting a portable gadget. 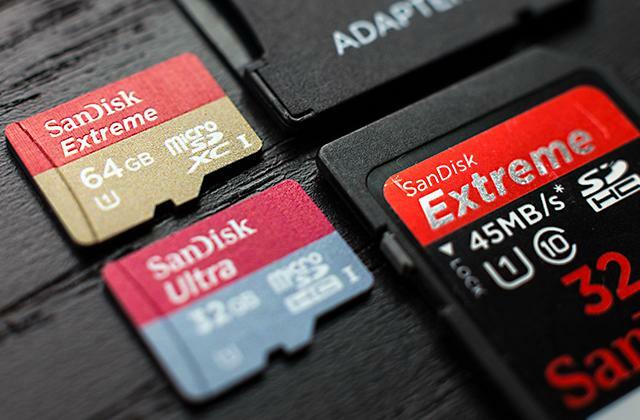 The 16 Gb of internal storage allows you to store a large amount of information on your smartphone (a small part is occupied by the operating system). Those who think this is too small will have the opportunity to install a microSD card or use OneDrive. The screen resolution leaves much to be desired (for a screen of its size). If what you value in a phone is not only speed, but also a stylish design - choose in favour of the Lumia 650: Its lightweight body, 6.9 mm thickness and compact dimensions make it easy to use it with one hand. The best solution for active people. The screen has a protective glass made of Corning Gorilla Glass 3, resistant to scratches - you can safely carry it in your pocket without worrying about appearance. 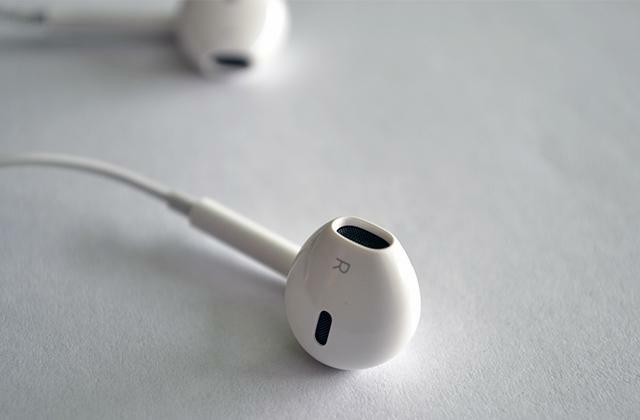 The back cover has a soft-touch coating, which means the risk of slipping out of your hands will be minimal. Takes a long time to charge the battery. The Nokia Lumia 735 is an optimal combination of price and functionality, and therefore will appeal to true Windows fans who have a limited budget. 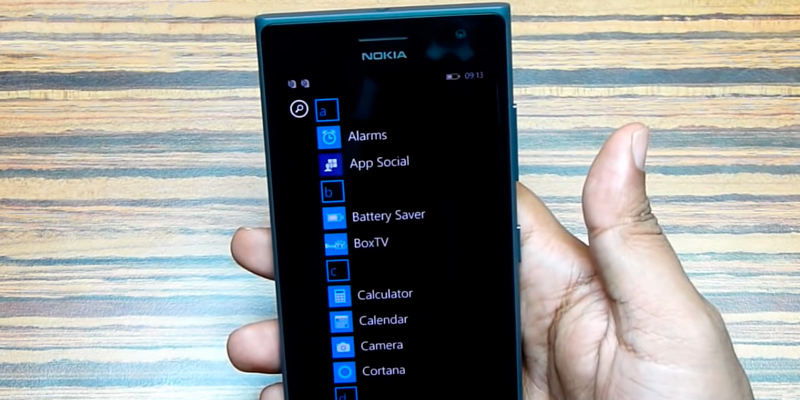 Windows Cortana and the unique tiled interface design provide comfortable operation of the smartphone. 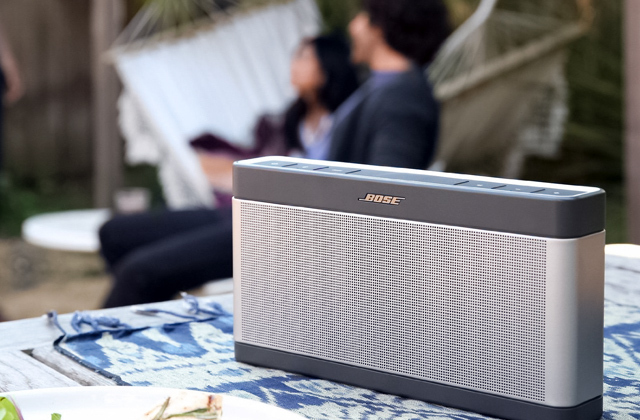 The speaker installed here differs favourably from most other models with a high volume, so you will definitely hear the incoming call in a noisy place, even if the device is in your pocket. 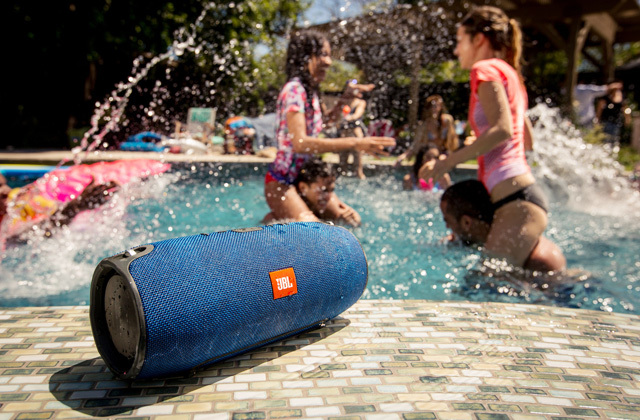 Also, the sound is very high quality and when listening to music in headphones (not included). Processor performance may not be enough for some demanding applications. If you often travel, and even on the road you do not part with your digital gadgets, then this model should definitely be yours. With its help, any office work will be completed as soon as possible and with maximum comfort. 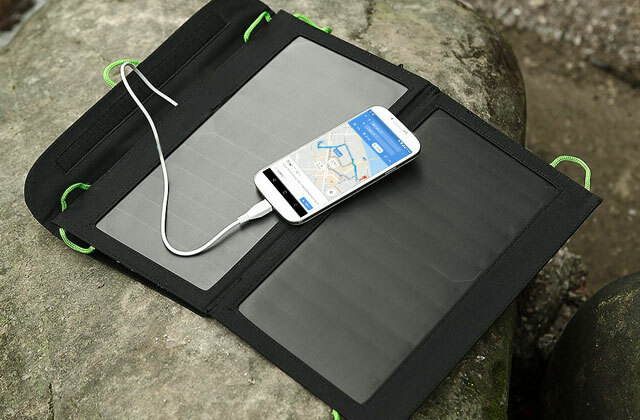 There is a Li-ion battery with a capacity of 1560 mAh, which is enough for 2 days of active use of the smartphone and up to 4 days of use of infrequent calls and messages. A good indicator for a phone with such a screen size. Camera resolution is very low. 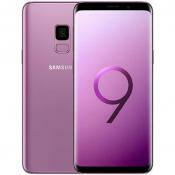 This phone is a budget smartphone and is intended for the category of users who mainly use their devices for making calls, sending text messages and infrequently launching several undemanding applications. One issue that many Windows phones have when they are compared to their Android and iPhone counterparts is that they appear to be underpowered when it comes to their specs. Of course, this isn't a fair comparison, as Windows Mobile devices require fewer resources than the others due to the light weight and fast OS on them. It is best to keep this in mind when trying to compare the specs on these phones. Having said that, the Microsoft Lumia 950 5.2 inch 32 GB SIM-Free phone holds up quite well when compared to other smartphones. Featuring a six core Qualcomm Snapdragon 808 running at 1.8 GHz, this phone is quite fast when compared to other phones, and is faster than lightning while running Windows 10 Mobile. The 3 GB of RAM included in the phone gives you plenty of memory for running multiple apps at once without slowdown, and it also includes 32 GB of storage, which is sure to satisfy most users who like having lots of photos and videos on their phone. For those who find that this isn't enough space for their needs, the phone includes a Micro SD slot, which lets you expand the internal storage by installing a SD card. On top of that, users will have access to Microsoft's OneDrive service, allowing you to store data in cloud storage, thus freeing up space on your phone if needed. 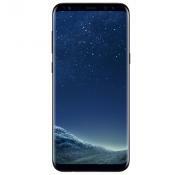 Although this phone is plenty powerful, where it really shines is in anything having to do with the viewing experience. Everything ranging from the sharpness of the display to the quality of photos and videos taken with the camera is what really sets it apart from other phones. The phone features a 20 MP (yes, you read that right) camera, which is able to take phones of remarkable quality. The camera can also record high definition video at 4K resolutions, giving you an excellent way to capture your memories. 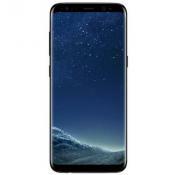 All of the photos and videos on your phone are sure to look vibrant on the phone's 5.2 inch ClearBlack OLED display, which features a WQHD display with a resolution of 2560 x 1440. Plenty of other features are packed into this excellent phone. 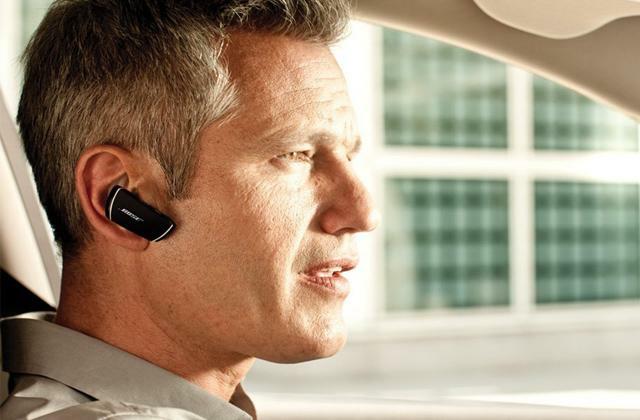 Along with an accelerometer, assisted GPS, and gyroscope, which are all pretty standard items in smartphones now, you also get Bluetooth, a proximity sensor, NFC, and many other technologies all packed into this beautiful handset. This phone is certainly not missing out on features, and everything it has is of the highest quality. 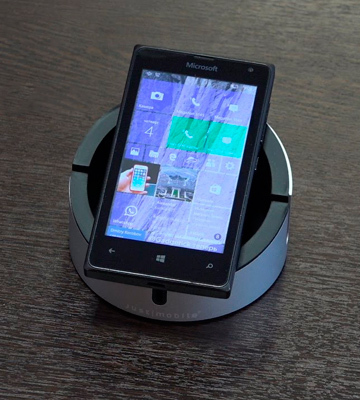 Those looking for the best Windows phone should take a good look at this model, as there are few other phones like it. 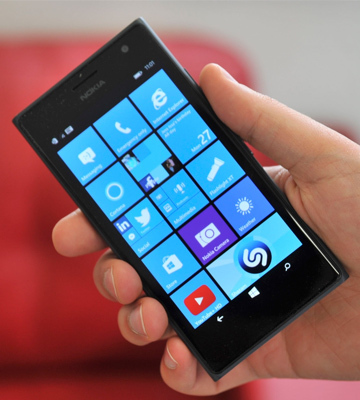 The Lumia series of phones have all made a name for themselves due to their style and design. The eye-catching design of these phones has received a lot of praise from many corners, and for good reason. 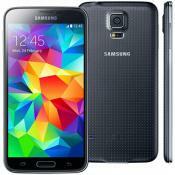 The phones are all well made, look and feel great, and provide excellent capabilities. People are naturally attracted to devices that look good, but having that same quality through all aspects of the device is something that is rare to find. 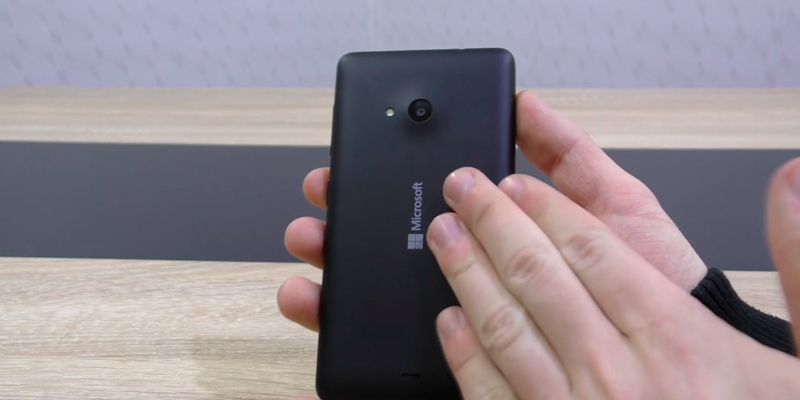 The Microsoft Lumia 650 SIM-Free Smartphone is a great example of this design philosophy. Featuring a richly detailed design that is compact and very comfortable to use, this Windows Phone draws the attention of virtually everyone who sees it. The sleek black case houses lightweight internals that are every bit as good as its appearance. The phone is powered by a quad core Qualcomm Snapdragon 212 processor running at 1.3 GHz, giving the phone a good amount of horsepower for running apps. The 1 GB of RAM may seem minuscule when compared to most other smartphones, but it is plenty enough for running Windows 10 Mobile, and allows for smooth operation without slowdown or performance hits. 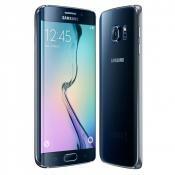 Overall, the phone is plenty powerful enough for what most people would need. 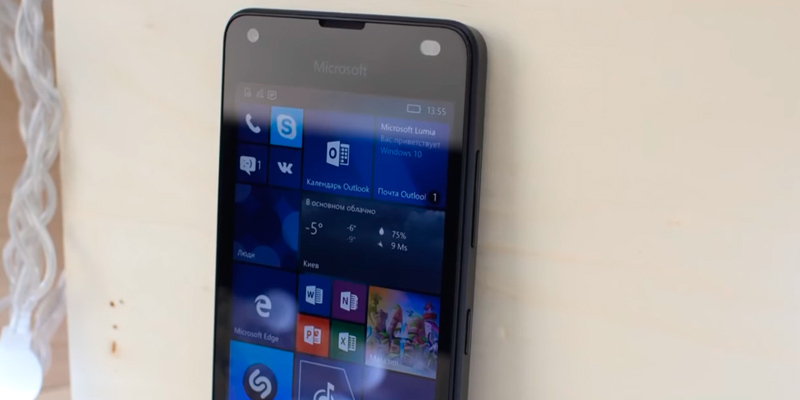 One of the biggest benefits of this phone is really the OS, which is Windows 10 Mobile. Along with its smooth performance, the OS is very easy to use, with a very intuitive interface that lets you smoothly scroll through the live tiles of your installed apps. The live tiles can actually display important information on them without you needing to open the app, which is a great bonus for those who rely on notifications for such functionality. For instance, if you just want to check the current temperature, just scroll to the live tile for the weather app, and you will instantly see it. You won't even have to open the app. 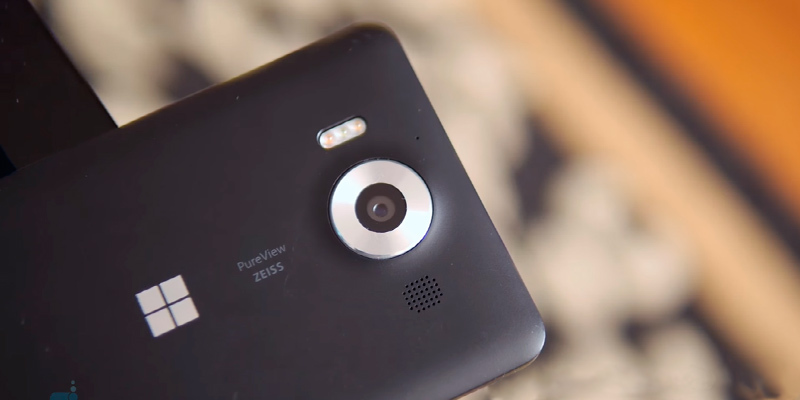 Along with the great performance are the high-quality cameras that have become a staple of the Lumia line. The 8 MP rear camera provides high-quality snapshots and videos, and includes an LED flash. The 5 MP front camera lets you talk to your friends and family on Skype while providing them with a crystal clear image of yourself. You also have access to many other great features, including the pre-installed Microsoft Office apps, which let you work on any Office documents from your phone, along with many other great features. For a phone in this price range, this model certainly has a lot to offer. There is much to be said about a phone that has a clean and compact look. After all, mobile phones are supposed to be compact, being small enough to carry in your pocket, and having a clean design makes them both look and function well. 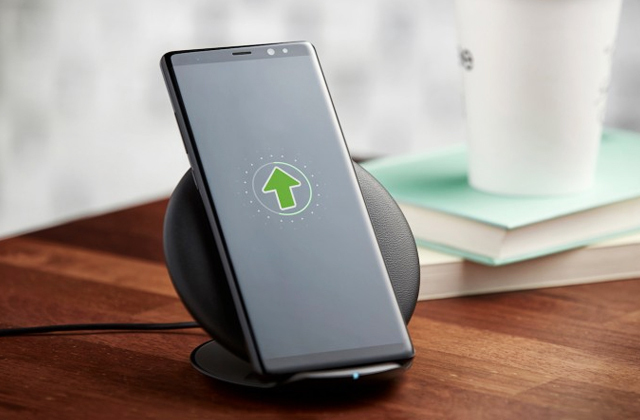 Everything about the phone, from simply pulling it out of your pocket to doing any kind of work on it benefits from this design philosophy, and smartphone users are almost always appreciative of devices that do. 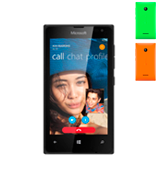 The Nokia Lumia 735 SIM-Free Smartphone is a great example of how a clean and compact design benefits a mobile device. Featuring a 4.7-inch HD quality display with a resolution of 1280 x 720, this compact phone is the perfect size for providing a great quality screen while retaining small dimensions. 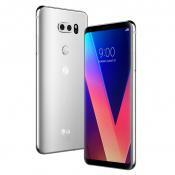 The processor used in this phone is a four core Qualcomm Snapdragon 400 running at 1.2 GHz, which should provide enough horsepower for running everything smoothly. The phone may seem pretty bare with the 1 GB of RAM and 8 GB of internal storage, but Windows Mobile with its small footprint runs quite smoothly with such a limited amount of RAM. On top of that, the phone includes a MicroSD card slot, allowing you to expand the storage to a maximum of 128 GB if you need more space. One of the biggest features that the Lumia line of Windows phones is known for is the inclusion of high-quality cameras, and this model is certainly no exception. The rear camera uses a 6.7 MP lens with Zeiss optics, which features 4x zoom, autofocus, and an LED flash for taking great quality pictures in the dark. You can even record HD quality video with the camera, essentially giving you your own camcorder in your pocket. The front camera uses a 5 MP lens, which is quite good considering that many other phones seem to skim on the front camera. Plenty of apps are included on the device, including the Nokia Storyteller app, which lets you edit photos taken with the camera and add certain effects to them, including captions and many different filters. There is also the Microsoft Office suite of apps, giving you fully function versions of the different Microsoft Office applications. For those who require having some kind of cloud storage available, the Microsoft OneDrive service gives you 15 GB of free cloud storage, which lets you access files stored on it from anywhere and from any device. With such a great design along with the powerful apps included, this Windows phone model is one of the best values available. When people think of budget smartphones, they tend to think of lower powered devices that use the absolute bare minimum specs. Such devices often tend to be clunky, with poor performance, and an overall low quality design. This has given smartphones, and really, any device with the "budget" label a bad name. However, not all budget devices are bad. In fact, some of them can be quite good, with even a rare few of them giving much more expensive devices some stiff competition. 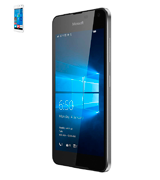 The Microsoft Lumia 550 SIM-Free Smartphone is one of those rare budget smartphones that provides the user with greater quality than many more expensive phones. This device features a 4.7-inch LCD touchscreen display, with a resolution of 1280 x 720. This HD quality display looks quite good, giving all content a crisp, clear look with vibrant colours. The outer shell of this smartphone has a sleek, sharp look that is sure to impress anyone who sees it. Underneath the hood is a quad core Qualcomm Snapdragon 210 running at 1.1 GHz, providing plenty of processing power to the phone and giving the Windows Mobile interface a snappy, responsive feel. Despite the very modest 1 GB of RAM, you shouldn't run into any performance problems here. 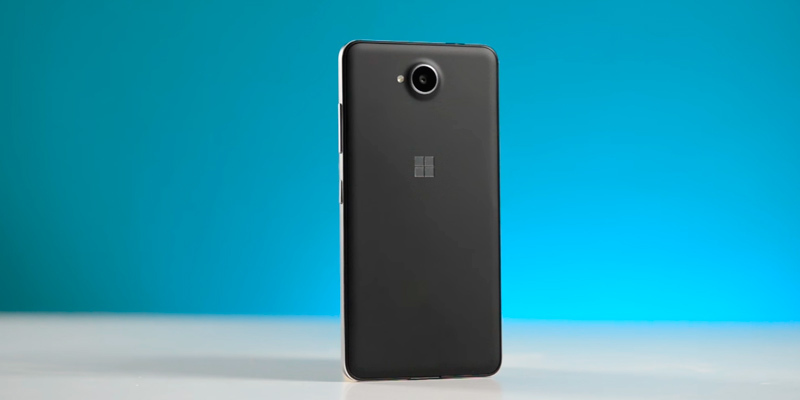 The Lumia line of smartphones are very well known for their high-quality cameras, and this model falls in line with that reputation. This device features a 5 MP main camera with autofocus included, giving you impressive photos and videos from it. 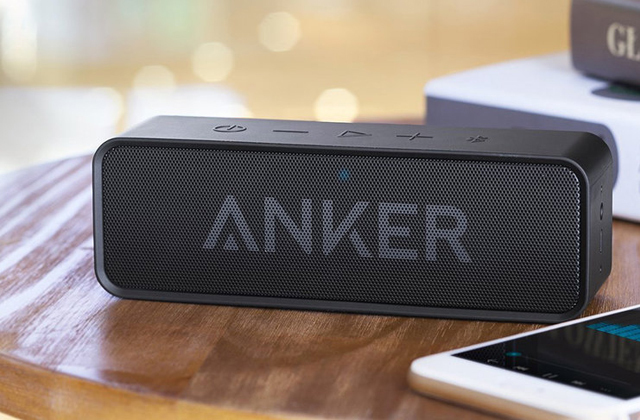 However, where this particular model really shines is with its high-quality audio, both through the phone speaker as well as through the headphone jack. 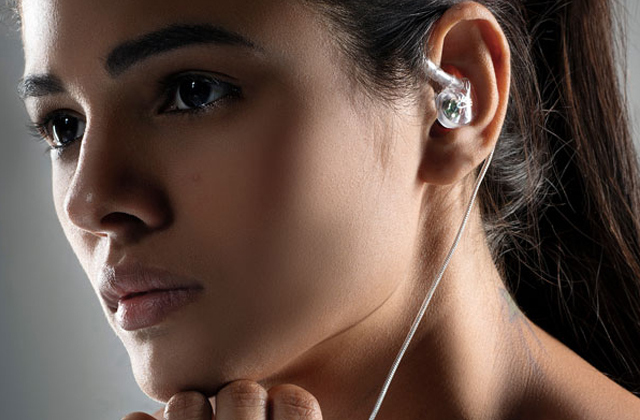 The volume settings, which are often quite lacking in other smartphones, give the audio a clear boost, providing you with crystal clear voices over the phone, and loud music through the headphone jack. There are plenty of other features to love with this phone as well. The included selection of apps gives you everything that you need to get started with a smartphone, including the Microsoft Office apps, which let you work on the same documents with the same software that you use on your computer at home or at work. The 15 GB of free storage provided by the OneDrive service lets you store documents, photos, and videos in the cloud, with instant access to the same files through the phone and from your computer. 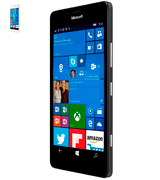 With these along with many other features, this Windows smartphone is one of the best budget models available. Not everyone needs the latest and greatest smartphone. Despite the prevalence of smartphones nowadays, there is still a substantial number of people who hang on to their old mobile phones, largely because they are simple devices that people are comfortable with. However, even the sturdiest mobile phone will end up having an expiration date, which means that sooner or later, such people will need to purchase a new phone. 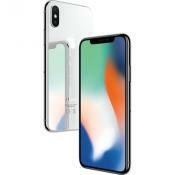 This can present a problem for them, though, as simple phones are becoming harder and harder to find, especially ones that are of good quality. The Microsoft Lumia 435 SIM-Free Smartphone is the perfect smartphone for those who need to upgrade from an older, simpler mobile phone. 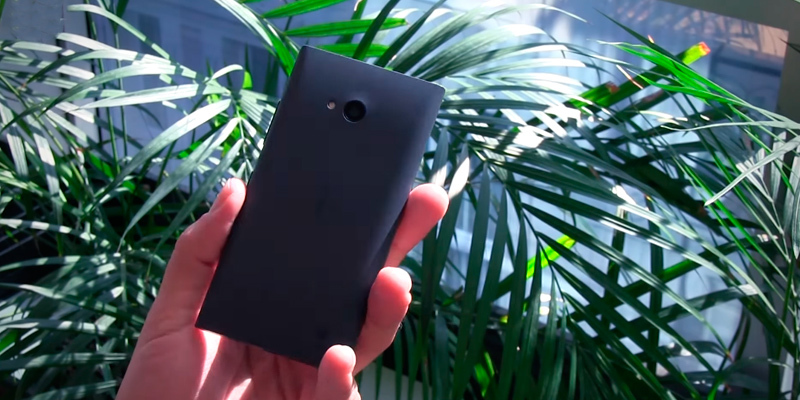 Make no mistake here - this phone is quite far from being a powerhouse. Its quite modest specs are not going to impress anyone familiar with smartphones, but then again, that's not the point of this model at all. 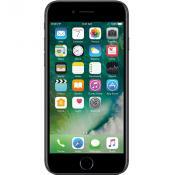 Its best purpose is to serve as a great upgrade path for those who need a new phone, with many such people never having used a smartphone before, and at this function it excels. The compact design of this device is more comparable with an old mobile phone rather than with high-end smartphones, which should bring a large measure of comfort to those who prefer small devices. 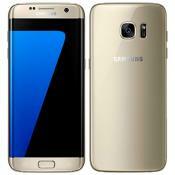 As stated before, this phone isn't going to impress those who want a high end smartphone. 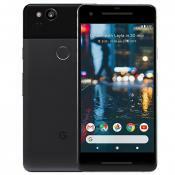 The 4-inch screen is quite small, and the screen's resolution is far below what most modern smartphones come with, but it should appeal to that segment of people who prefer a smaller screen and a compact design. The phone is small enough to fit comfortably in even the hands of a child, so most people shouldn't find it to be bulky. The case is quite impressive for a phone of its price range, as it is lightweight but sturdy enough to last someone for a while. 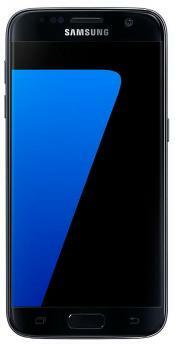 The sleek look of it also makes the phone look like something that should cost a lot more than it actually does. 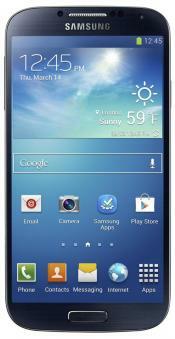 Those who are most likely to consider this phone are ones who prefer a phone that does the basics well. Making phone calls and doing very simple tasks are all that these people will want to do, and the phone excels at this. 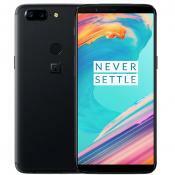 The call quality is quite good for this phone, and the underlying hardware is just powerful enough to ensure that the simple tasks that users perform with the device will work smoothly. 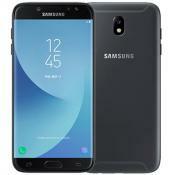 Although this phone may seem a bit too low end for normal smartphone users, it is the perfect starter smartphone for those who just want a simple smartphone that covers the basics. A Windows smartphone is a phone running on a Windows mobile operating system, which, similar to its desktop PC and laptop version, has practically the same set of features and compatibility with various applications. Thus, a Windows-based phone offers the functionality analogous to the one of Android and iOS-based phones while using the same main hardware components. 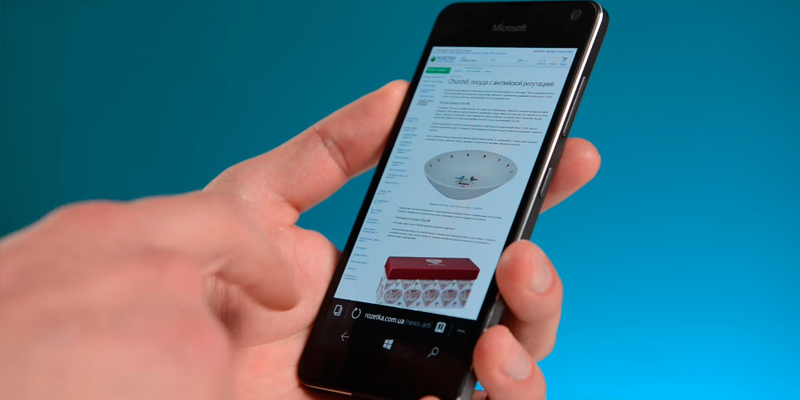 Many global brands opted to produce smartphones based on Windows OS as they found them to be a unique way to add to their own smartphone marketshare. One of the great features that Windows phones offer is the popular feature known as One Drive, which provides a free cloud service for storing your data and greatly enhances the abilities of Windows phone users to save large data volumes and access them from virtually any location via their phones. Despite the fact that modern smartphones can easily take high-resolution photos and record videos, the quality of resulting footage and photos from lower end smartphones is often still inferior to those made with specialised devices, such as bridge cameras or cameras for portraits. With that, wherever you use it, keeping memories with a portable camera will be as easy as it will be exciting. When choosing a smartphone, the first thing you need to evaluate is its display as it serves as the main control and data output element of the phone. As numerous display technologies are developing rapidly nowadays, their names and abbreviations may be very confusing. In essence, aside from the screen size, you should pay attention to the display resolution and panel technology. Many Android and Windows-based phones have so-called Full HD displays that support the standard HD resolution of 1920x1080 pixels. With the display size of 5 or more inches, such a resolution makes the text clear and sharp yet not very small, and the images comfortable to view. However, the popularity of 2K displays in smartphones that offer up to 2560x1440 pixels and come under the Ultra HD or UHD abbreviations is increasing. Another important aspect is the display panel technology that influences the way a given display renders colors, attains a high contrast picture, displays the image at different viewing angles, etc. Despite quite a few different panel technologies used nowadays in smartphone displays, the IPS technology is arguably the most widespread as it provides a good combination of large viewing angles, high contrast and vivid colors for the display. 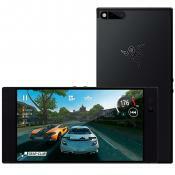 Of no less importance in choosing a smartphone is the device performance as playing modern games requires having a powerful GPU and CPU with enough RAM. Modern CPUs, as a rule, have multiple cores so the more cores the CPU has the better multitasking performance it provides. This performance improvement can be felt by users when running several applications simultaneously. Aside from architectural improvements the CPU clock speed or core speed plays an important role: the higher the clocking the better is the single-thread or single-task performance of the CPU. The same general rule applies to the RAM: the more RAM the better is performance and ability to run multiple applications in parallel. Owing to peculiarities of Windows Mobile, Windows phones require even less RAM than modern Android-based devices with 1 GB of RAM being enough for performing basic tasks. However, 2 GB or more is recommended for a smartphone to have enough room for running future OS updates and new applications while providing comfortable and responsive phone use. 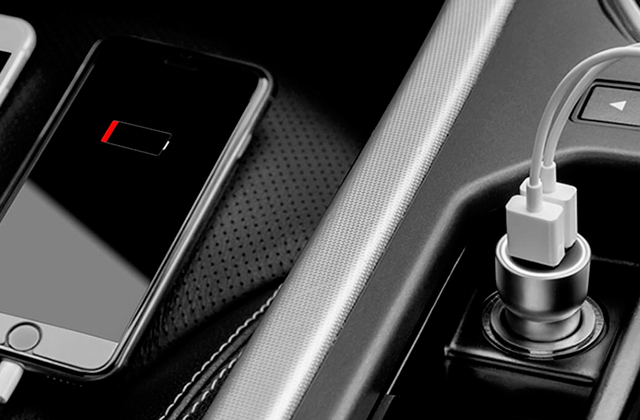 The battery, or rather its capacity, is what we need to consider in connection to the intended use of your smartphone. If you play games or run CPU/GPU intensive applications on your phone often, you definitely need to have a large capacity battery. The battery capacity is measured in mAh (milliampere-hours) with the indication of the battery voltage (usually 3.7 V for smartphone batteries) or in Wh (watt-hours). Therefore, the higher the battery capacity the longer operation it provides on a single charge at the cost of size. With that, if you need a phone mainly for making calls and seldom Internet use, a battery capacity of 2500 mAh is enough for you to use the smartphone for a day or two without recharging the battery. We’re not going to act like Android and iOS haven’t taken over the smartphone market. Yes, sure, the vast majority of phones out there now run these two systems. However, there are some cases where the good old Windows OS and phones running it have advantages over this boring duo. Let’s take a look at some of them. Though the company doesn’t have a 100% share of the market, chances are your PC or laptop is also running Windows. This makes a Windows phone uniquely compatible with it and much easier to connect than an Android- or iOS-running smartphone. The interconnectivity provided by Windows phones really is the future, especially since you can drag and drop files from your PC to your phone thanks to special Windows programs and other useful software that simply won’t run on other operating systems. While there is some movement towards broader connectivity between the various OSes, it has yet to truly blossom. So, for now, Windows has the edge. We fully acknowledge that this is subjective and might be a point of contention, but we find the minimalistic yet elegant design of the Windows Phone OS to be a real winner. That’s not to say that Android or iOS are ugly, but they often feel overencumbered with unnecessary additions. 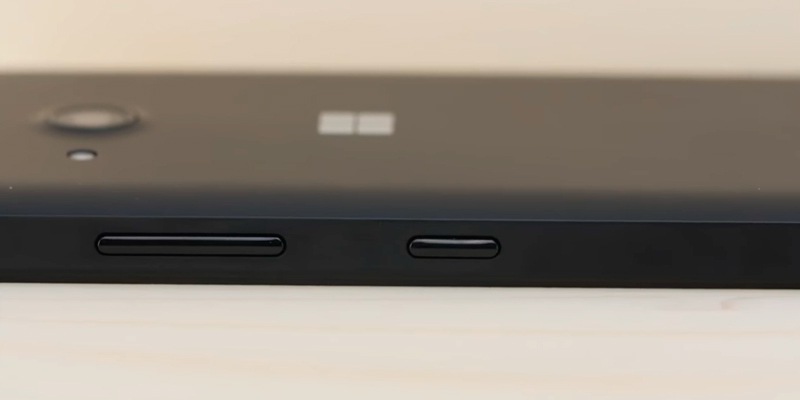 Some might say that Windows phones stray too far in the other direction, veering into barebones territory but, as we’ve mentioned, it’s a matter of preference and many of us certainly prefer the slight minimalistic trends that these phones offer. Things have gotten better for both Android and iOS in terms of performance speed but Windows Phone OS, unlike them, never needed that kind of long road to competence. It’s an efficient and lightweight OS with few lags and crashes that could reasonably be called commonplace. Considering that phones have long ago become mini-computers, the speed at which they operate is highly important and there’s not a doubt in our minds that the Windows Phone OS wins in that department. While this is a bit of a niche point, it’s a big one for any owners of the Xbox consoles. Windows Phones all have integrated compatibility with the Xbox, so you can check your account, get bonuses, and talk to friends online all via the phone. Plus, while we’re on the subject of gaming, Windows OS gets quite a few exclusives that aren’t available on Android or iPhones and won’t get there any time soon. It’s pretty much customary to use online maps as soon as you feel a bit lost nowadays. And there’s no shame in that, but it is a bit annoying to have to use your data just to take a second look and check which turn you need. While all phones, at least as of recently, allow for downloading maps for offline checkups, the Windows OS offered it first and is the only one to give that option in an easily accessible manner. The rest seem to hide it away and make the process as mind-numbing as possible. Windows phones were some of the first to offer free cloud storage with purchase so you wouldn’t have to delete files to make room for new ones. It’s a smart feature and though it’s been adopted by others, Windows phones still provide quite a bit of cloud storage to work with right out of the gate, cementing their place on top. Q: What is a Windows phone? 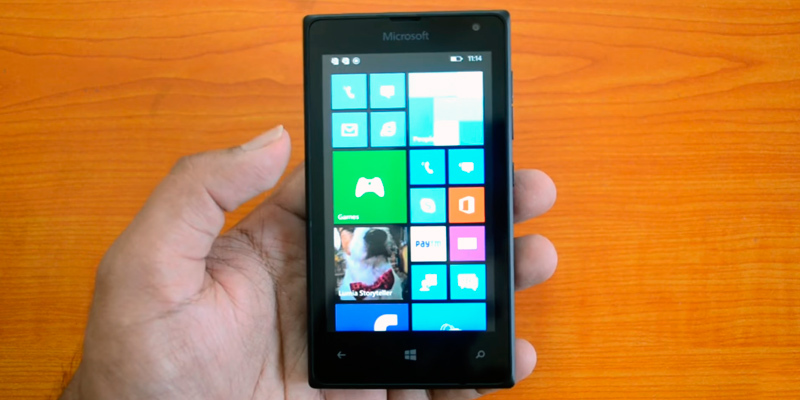 A: Windows phone is a smartphone that runs a Windows Phone (Windows Mobile 10) operating system. Windows phones and Android phones share the same concept and use similar hardware parts differing only in the software platform. 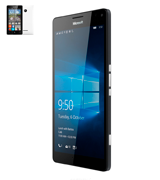 Q: What versions of Windows do these smartphones use? 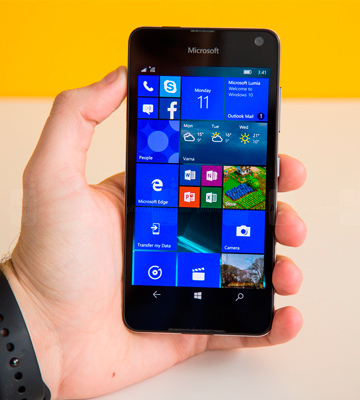 A: The most recent Windows version used in smartphones is Windows Phone 10, which is installed on the newest models. 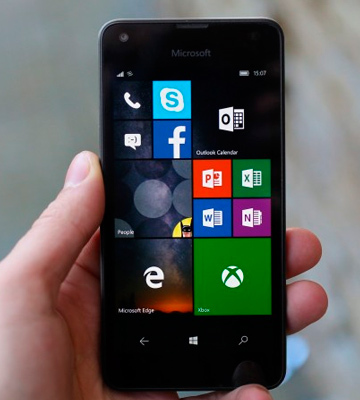 However, in most cases, users of older Windows-based smartphones can upgrade their previous Windows Mobile (Windows Mobile 8, 8.1) OSes to Windows Phone 10. This upgrade is possible due to numerous Windows core optimizations and backward compatibility with older hardware of smartphones. Q: What is the difference between desktop Windows OS and its mobile versions? A: In essence, desktop Windows version is the same as its mobile counterpart. Starting from Windows 8, this OS was being developed as a comprehensive solution for a wide variety of devices ranging from desktop PCs and notebooks to mobile phones. The difference is in the way the Windows is used on such devices. While smartphone users control their devices and do a manual data input using touch screens of their phones and, therefore, the Windows touch interface (Metro and its later iterations), desktop PC users mostly resort to keyboard and mouse input and bigger displays with no touch feature. Though phone manufacturers may customize the Windows OS they install on their product by adding or removing some features, the basic OS functionality remains unchanged as the performance and features of this OS scale with the hardware it runs on. Q: Can I run Play Market or Android applications on my Windows smartphone? A: No, you can’t run offline Android applications (apk) or Play Market applications on Windows phone as these OSes have different ways of operation. However, you can use Microsoft Store to choose from numerous applications for your phone. 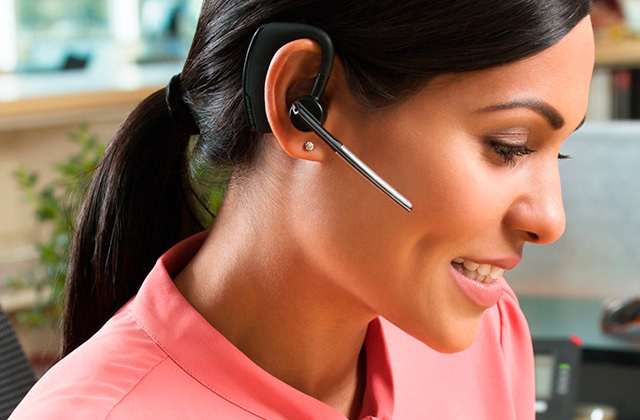 Q: Are there any digital assistants similar to OK Google and Apple Siri for Windows phones? A: Yes, there is the Cortana intelligent personal assistant by Microsoft, which can set reminders, recognize your voice without a keyboard input, and even answer questions using information from the Bing search engine. It is available in many languages, including English, French, German, Chinese and Japanese. Q: Are there any cloud services integrated with Windows Mobile available? A: Yes, the Microsoft provides the OneDrive cloud service to Windows users for free. The OneDrive is preinstalled on Windows 10 and allows an automatic saving of your documents and photos with an easy sharing between all your Windows-based devices. 1. How to Choose Between Windows Phone and Android, wikiHow. 2. 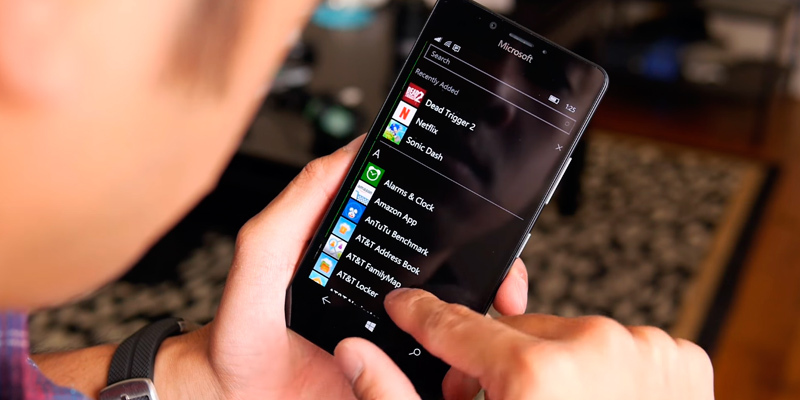 Sarah Jacobsson Purewal The complete guide to Windows Phone 8 settings, PCWorld. February 21, 2013. 3. Jim Martin How to set up a new Windows Phone smartphone, PC Advisor. December 7, 2016. 4. Paul Thurrott How to Choose a Windows Phone Handset, Thurrott.com. January 11, 2015. 5. 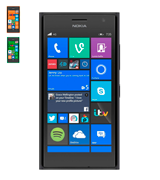 Nicholas Tufnell Windows Phone: 21 tips and tricks, The Guardian. December 5, 2014. 6. 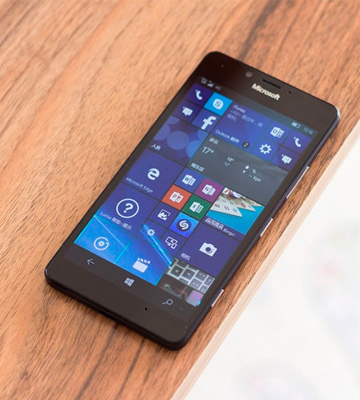 10 Things Windows Phones Do Better Than Android Phones, Hongkiat. 7. Alexander Sword iOS vs Android vs Windows Phone vs BlackBerry: Which mobile OS is right for your enterprise mobility programme? Computer Business Review. April 6, 2016.